Not many buildings have a tougher time of it than holiday accommodation units. 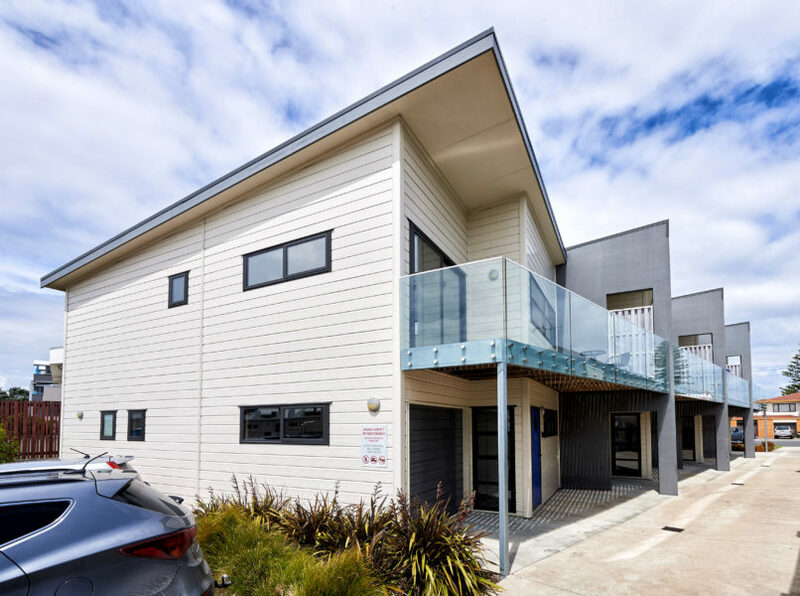 With high traffic and all the accoutrements of a great Kiwi holiday, buildings with this purpose are routinely subjected to unusual circumstances which puts the structures to the test, Seaside Homes was confident in delivering Tauranga’s Army Leave Centre in Lockwood construction. 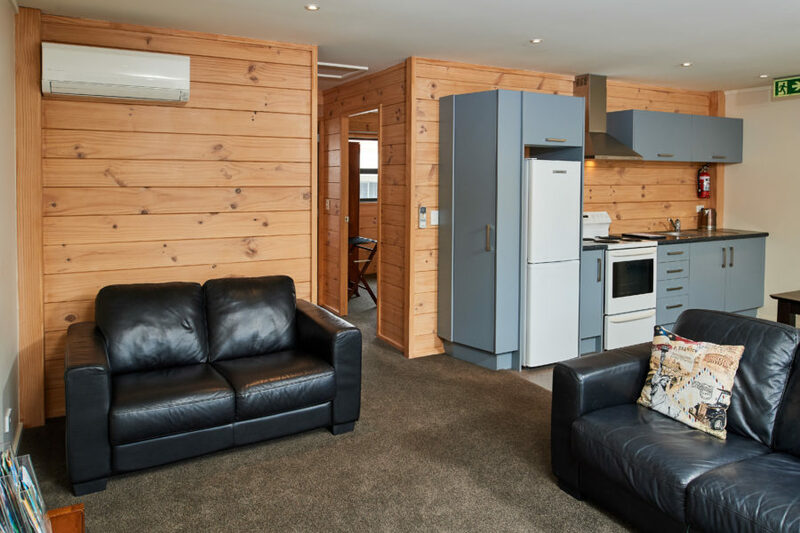 Located within a stone’s throw from the ocean in this popular Bay of Plenty city, the Tauranga Army Leave Centre consists of four 128 square metre, four-bedroomed units. 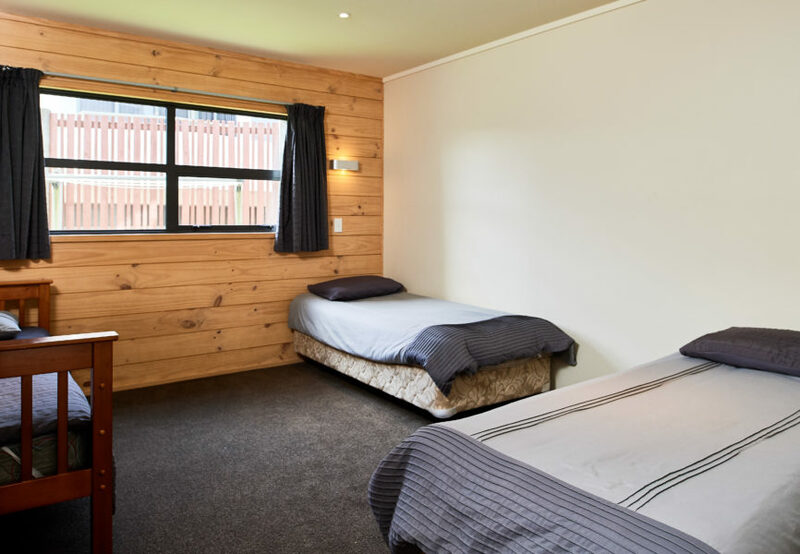 The accommodation is made available for police officers, army, air force and naval personnel and other members of the armed forces to rent for their holidays. Coastal holidaymakers generally bring along with them kayaks, surfboards, fishing rods and all manner of other sporting and leisure gear. Tracking this stuff in and out of the accommodation, along with the sheer amount of foot traffic, can leave its marks. But not if the construction is Lockwood quality. Antonsen’s winning proposal for the construction of the units maximised the available space. 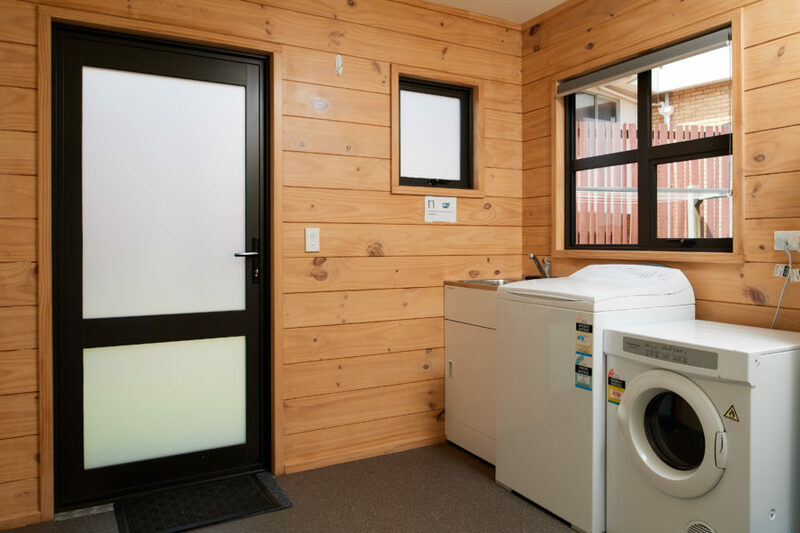 The double-story units each offer a bunk bedroom and bathroom, with an internal entry garage and laundry on the lower floor. 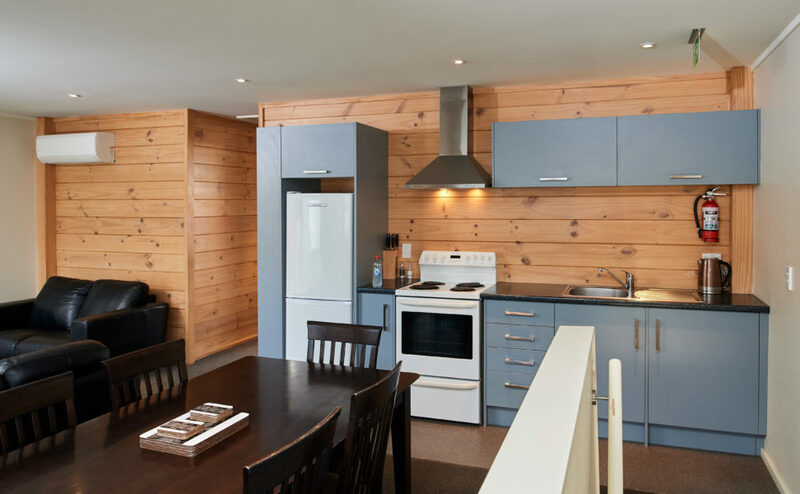 Upstairs has an open-plan kitchen, dining and living space, with a further two bedrooms. One of the units is fitted with a lift to ease access for the disabled. 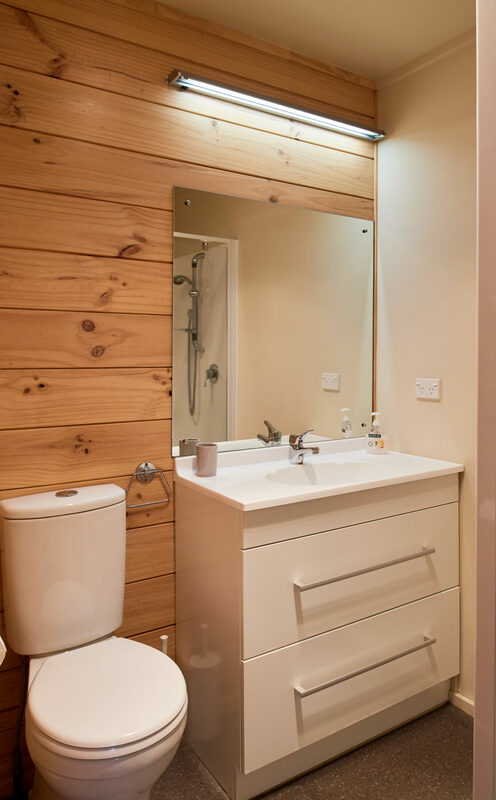 The units feature Lockwood 107 external walls and Lockwood 44 for the internal partitions. 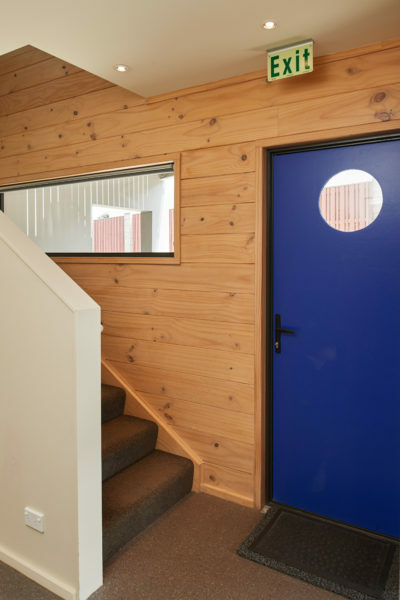 The Lockwood 107 wall system consists of two layers of treated solid laminated Pinus Radiata timber board held apart by two structural plywood spreaders with a centre core of polyethylene foam insulation. “We opted for the powder coated aluminium finish on the external walls, which provides excellent resistance to the harsh coastal air and sea spray,” Antonsen notes. 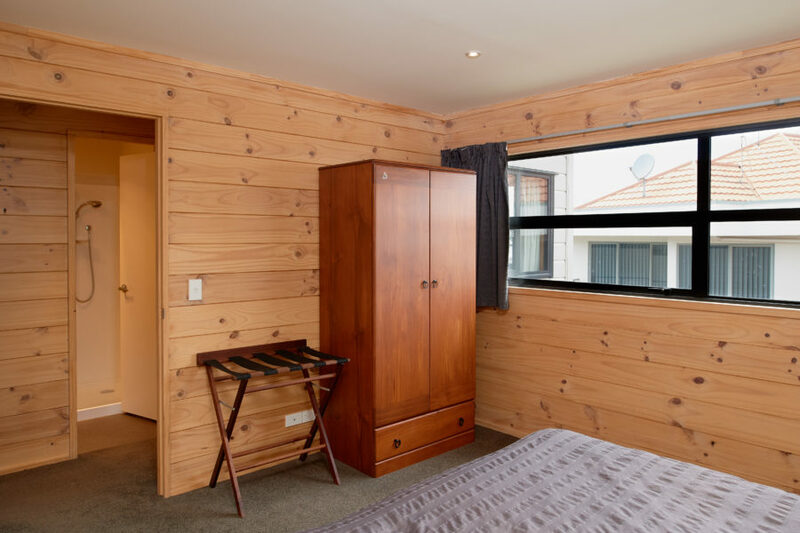 On the interiors, the Lockwood 44 wall system features treated solid Pinus Radiata timber board, which is blonded off and sealed for an aesthetically pleasing and durable finish. 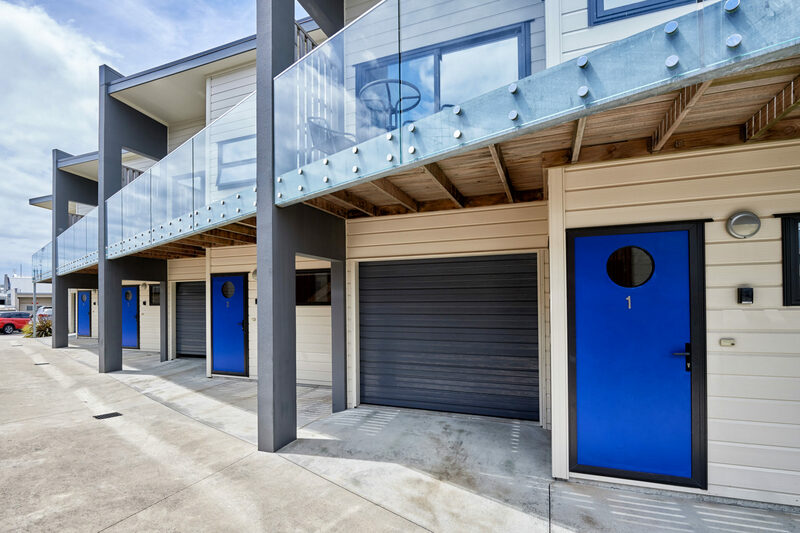 When you’re on holiday, the accommodation should look the part, and these Lockwoods deliver in spades; the units have their own decks and have a view to Pilot Bay from the glass balustrade.